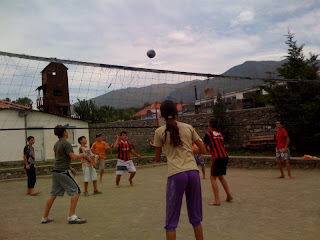 Until 2 weeks ago, I hadn't played volleyball in several years. extremely rusty skills look good. Kaiser likes to trash talk. But the kids do, too. a game on us, but still can't believe it.